An exquisite figurine from the Arora Designs More than Words collection of sentimental sculptures. 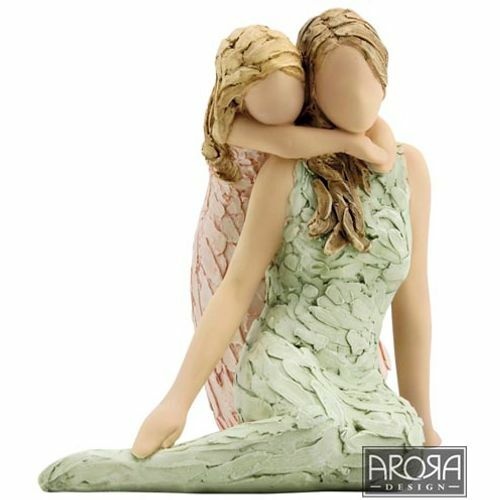 The Like Mother Like Daughter figurine features an elegant young mother wearing a sage green dress, sat down with her loving daughter behind her with her arm around her mothers neck. This pretty figurine is a wonderful way to show your love to either your daughter or mother.